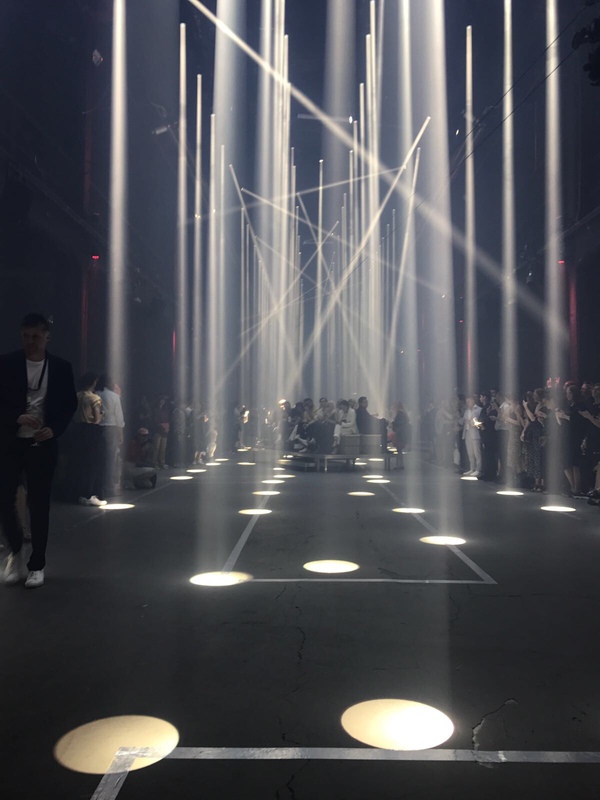 Ozon was invited on Friday to the return of HUGO by Hugo Boss back to Berlin, possibly Europe’s coolest city, for a techno party inspired collection. The HUGO line, began in 1993, is the younger, more casual brother of the BOSS line, known well for their suits and fragrances. From the front row, our man on the inside, Christian Freckmann, shared what went down at the show. Keep reading for exclusive images and videos. 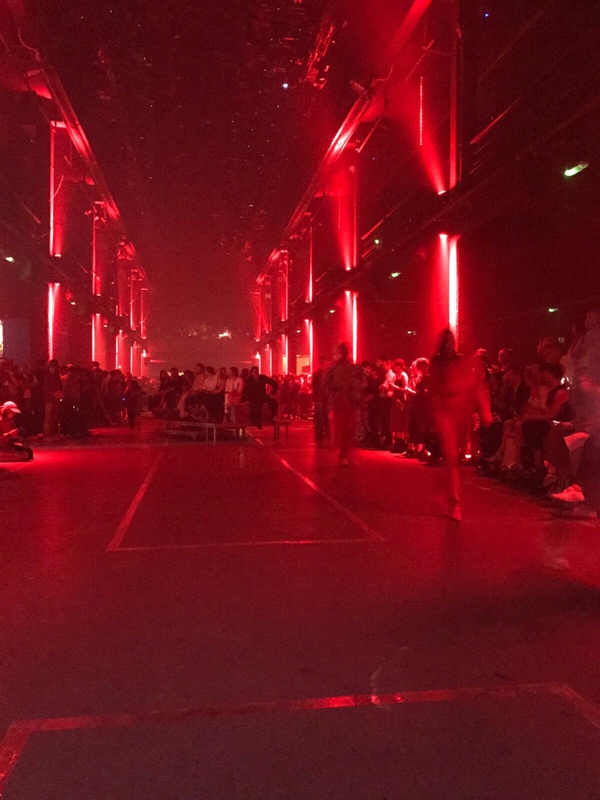 Motorwerk served as the location for the HUGO line’s S/S 2019 collection. 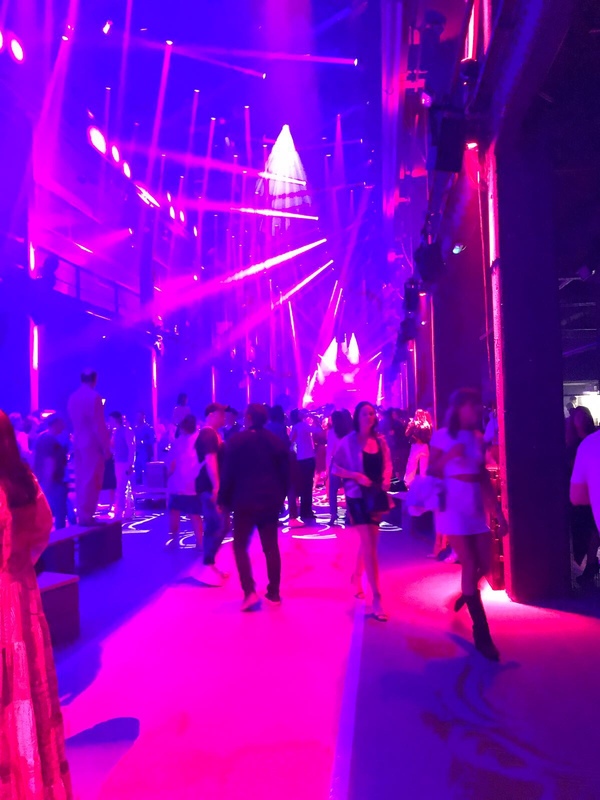 The industrial building, built in 1921, used to be an engine factory but is famous for parties held there in the 90’s which made it apt for this clubbing inspired show. 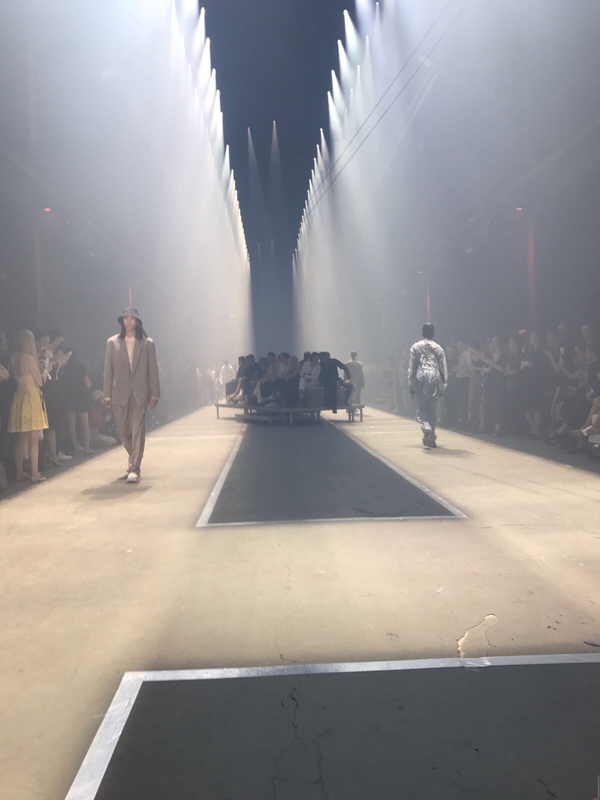 Many of the audience were standing in the packed-out hall while the models weaved in between podiums giving the chaotic feeling of a rave. Seated on the front row were celebrities such as models Winnie Harlow and Lucky Blue Smith and rapper Wiz Khalifa. 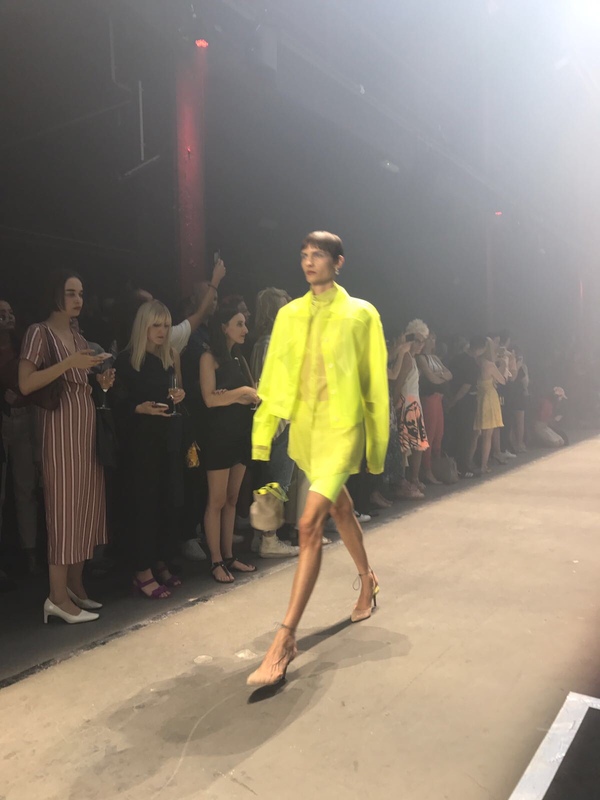 Through the foggy runway, models emerge wearing sporty jackets in a tribute to the club culture of Berlin. 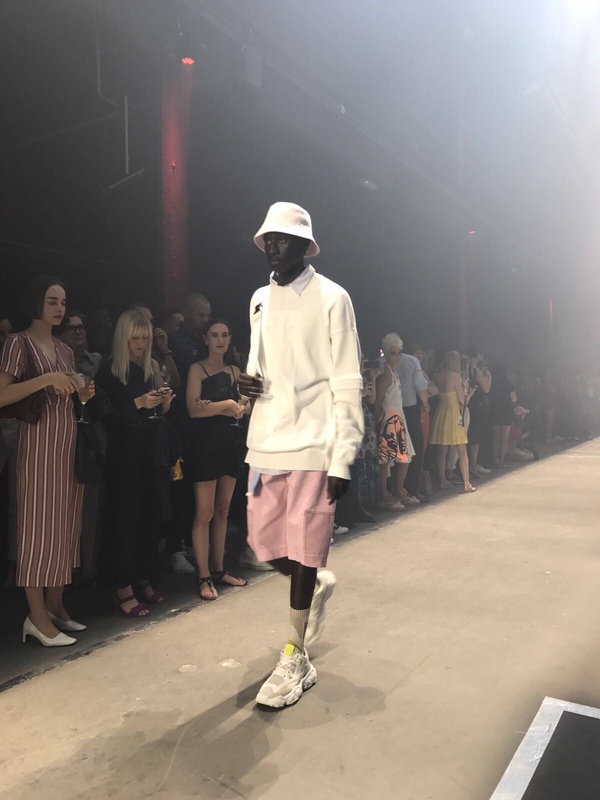 These streetwear looks are a world away from the suits worn by the German national football team although there was still references to tailoring in the jumpsuits, blazers and trousers. 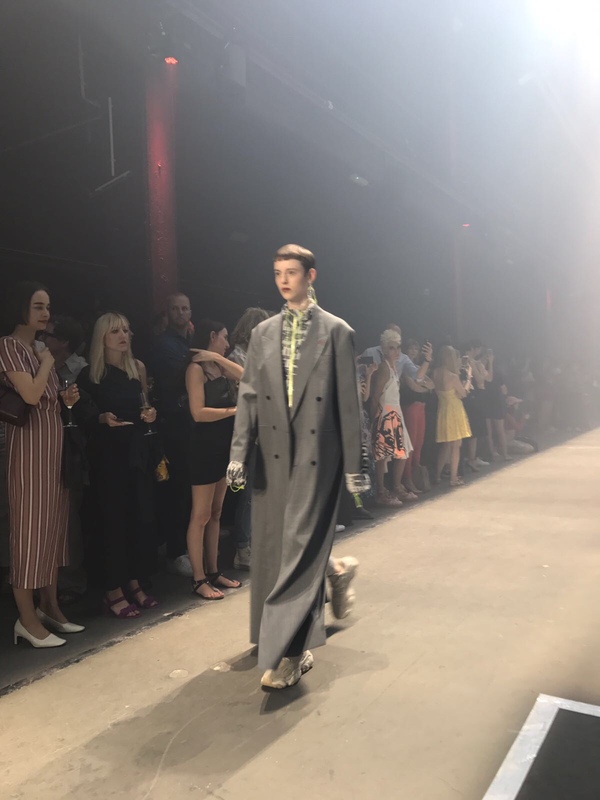 There were flashes of Balenciaga references in the colour scheme, employing pops of lemon between baby blue, reds and greys. 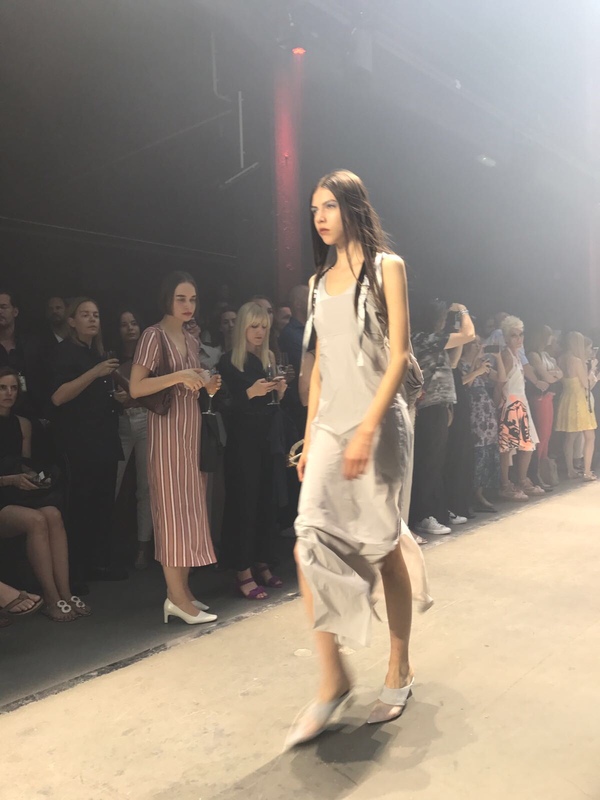 The show had a mix of shoes including large boxy sneakers, and streamlined stilettos providing fluid transitions between evening and day wear. 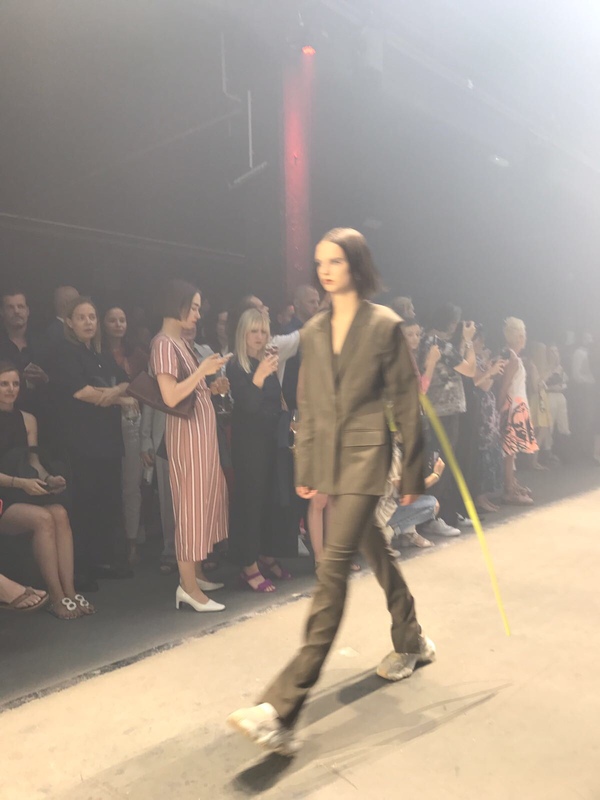 Showing at Berlin Fashion week is a clever move by the brand as they are tapping into a younger clientele and developing a new audience for the brand. It wouldn’t be surprising to start seeing DJs and club goers adopt this fresh HUGO style. 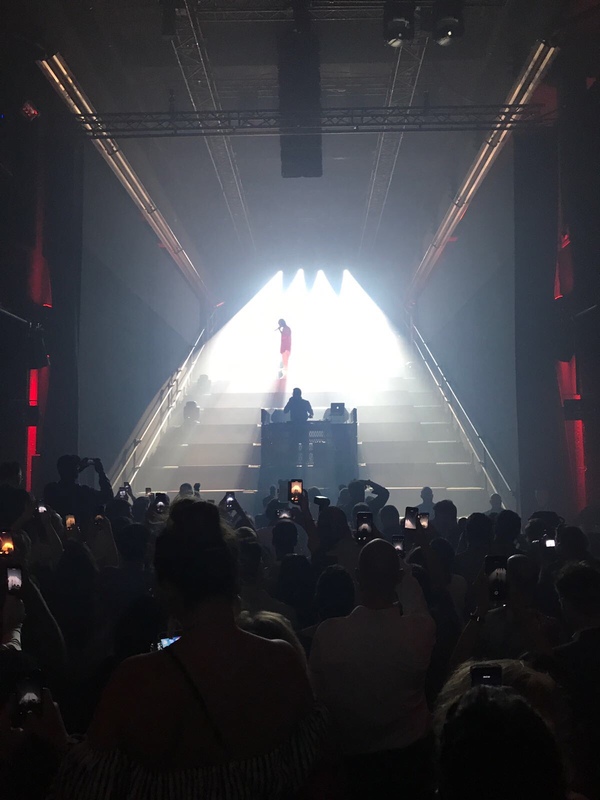 After the shows there were live performances from rapper Wiz Khalifa and DJ sets from Berghain resident Marcel Dettmann, DJ Hell and Ellen Allien kept the party going well into the night.